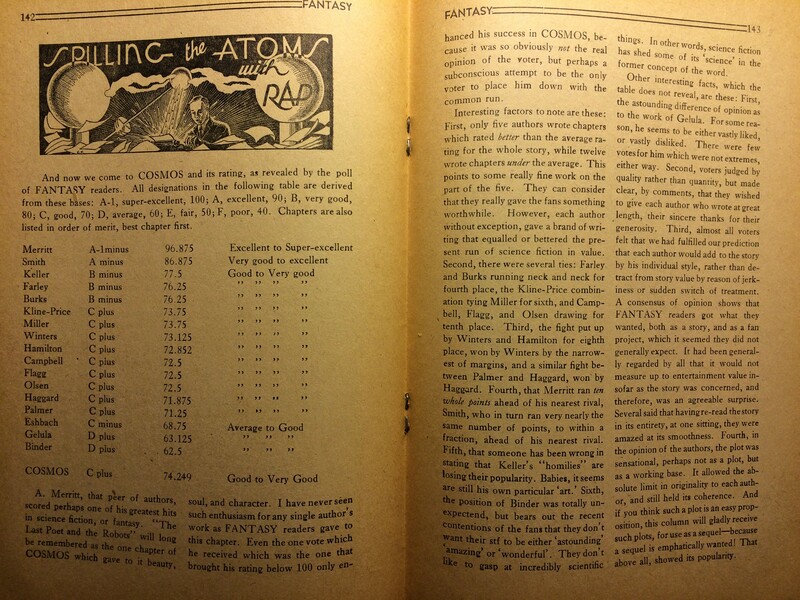 Coverage of Cosmos effectively vanished from Fantasy Magazine following the release of the final chapter in the December 1934 – January 1935 issue. Mention of the serial was even strangely absent from the letters column. It wasn’t until May of 1935 that the readers’ ratings of the Cosmos chapters were published. The “emphatically wanted” sequel never appeared. 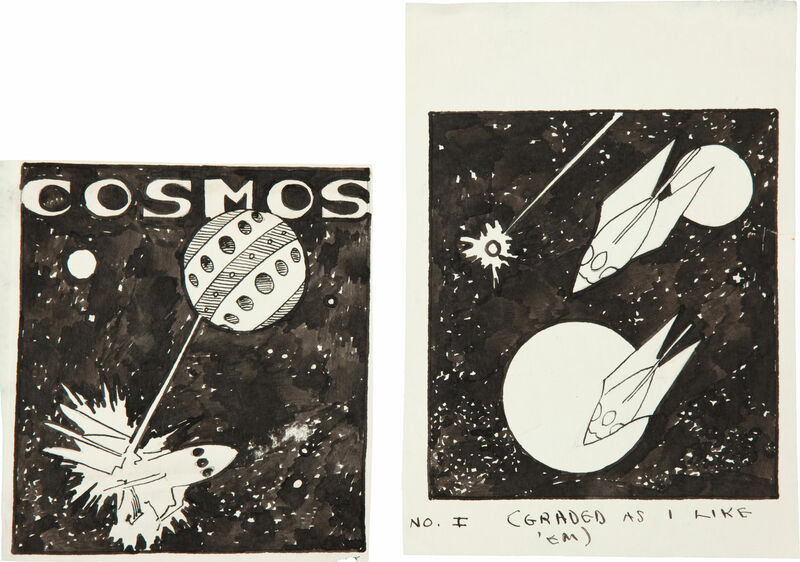 Apparently Hannes Bok created three illustrations for Cosmos in 1934. One appeared along with the last chapter. The other two were apparently never printed, but the originals came up for auction in 2010 from the estate of John McLaughlin. The images shown here are courtesy of Heritage Auctions.